My husband and I have a friend that has a birthday today and I sometimes find it's hard to come up with that special card for a male. Our friend travels with Bill when they go on balloon trips and we do see him at dinner throughout the year. Well, he's 69 years old, so I decided to play on the age thing. I copied the vintage image and printed on nice paper. Mounting the image on several cardstock pieces, then distressing the edges for that 'Vintage' look. I added a few gears and twine on the bottom, plus the washi tape '69' at the top. The washi tape is a ruler, so I just omitted the 7 and 8, joined them back together to achieve the number I needed. Hope you enjoy and maybe this card will give you a few ideas when you need to come up with a quick card. 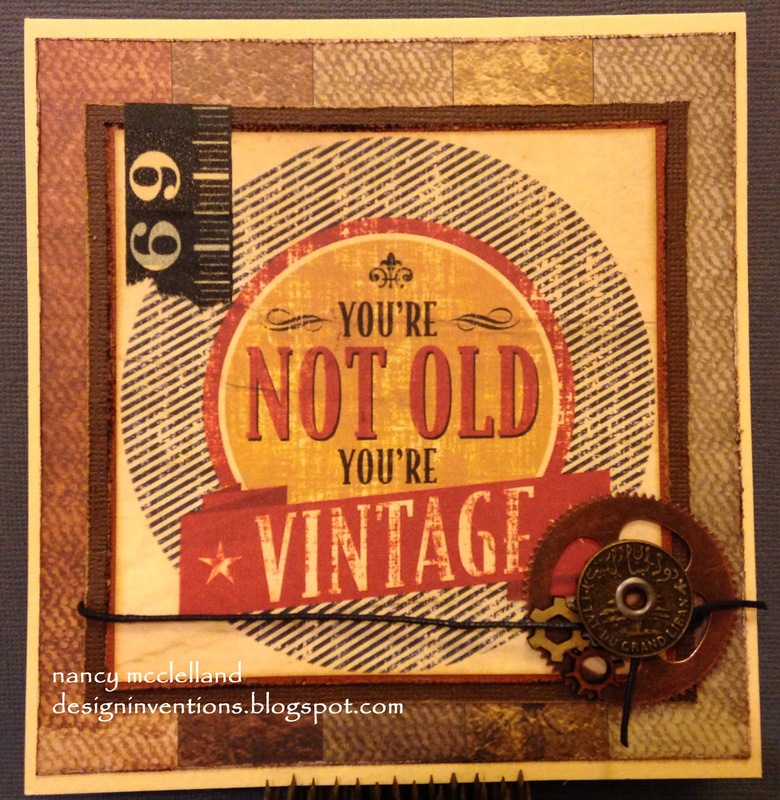 Thanks for the 'Vintage" birthday card image! I am sending it to my brother. It really fits him!